I was thrilled to wake up this morning to discover that One Brother Shy has hit the Paperback Bestsellers list. I’m honoured to have Margaret Atwood ahead of me. That feels like a big win to me. It’s also very cool to see just how many Canadian writers are on the list. Two-thirds of the two 15, including the top five, are Canadian. My deep thanks to all those who made this happen by picking up a copy of the new novel. I’m grateful. May it continue! 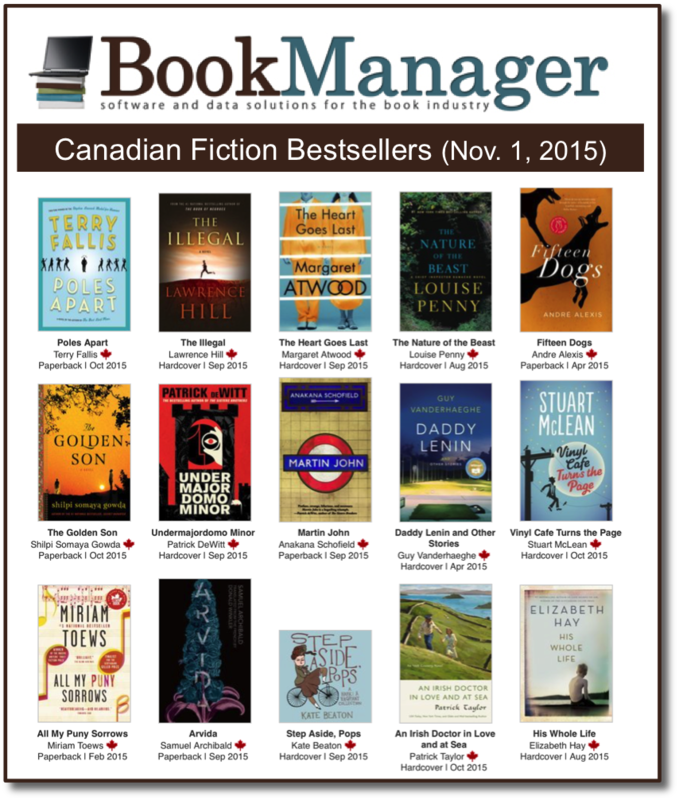 I happened to check BookManager last night and was surprised and delighted to see both The Best Laid Plans and The High Road still in the top ten Canadian Fiction bestsellers list. It’s been four years since TBLP won the Leacock Medal, and coming up to two years since THR hit bookstore shelves. I couldn’t be happier with how they’re still doing, all this time later. This unexpected longevity is another manisfestation of the Canada Reads effect. I certainly didn’t expect TBLP to be still so high on the list more than a year after the Canada Reads win, but such is the power of CBC’s annual battle of the books. With my third novel, Up and Down, due in bookstores on September 11, 2012, I’m certainly grateful for this good news. Thank you Canada Reads! 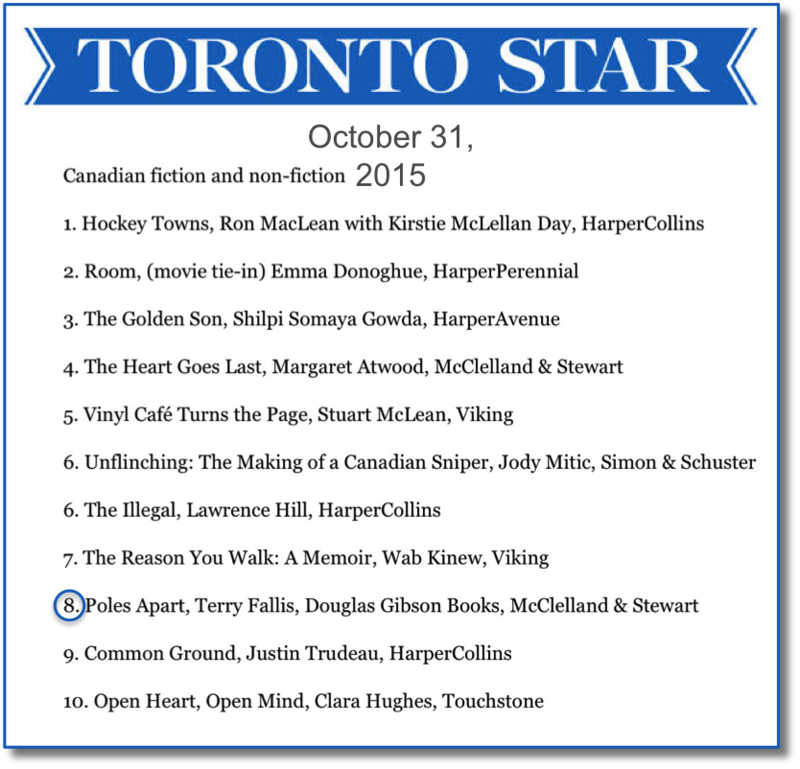 As I’ve noted before in this space, winning Canada Reads has been an extraordinary blessing. In case there are doubters out there, here is some more evidence to pound home my point. Bookmanager, a company that tracks book sales across the country, has released their topselling fiction list for all of 2011. I don’t mean the Canadian ficiton list, but all fiction, regardless of origin. As you can see, The Best Laid Plans came home in third place for the year. What a thrill. Again, I say, thank you Canada Reads. Okay, you know when I wrote in an earlier entry that I would try not to be quite so self-indulgent in my blog posts? Well, I’m still committed to that, but am requesting special dispensation to record the good news that The High Road has for the first time, cracked the BookManager Canadian Fiction Bestseller List, checking in at number eight. Undoubtedly pulled along by The Best Laid Plans, which is still basking in the Canada Reads afterglow. It’s a thrill to see both of my novels in the Top 10. 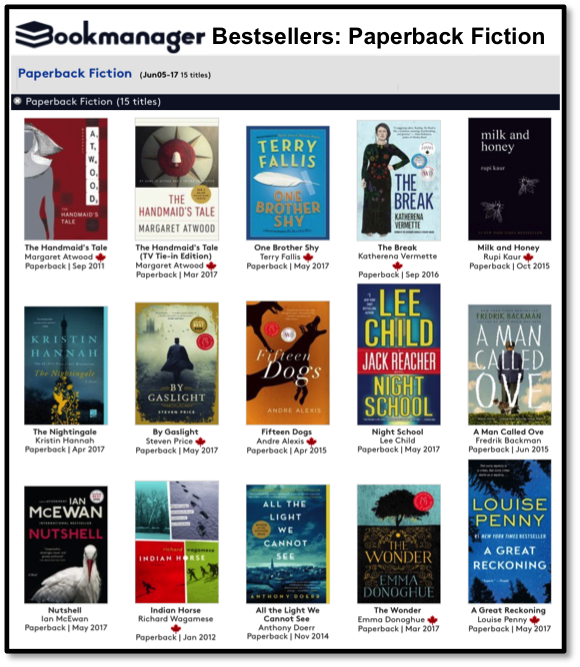 I had a quick look at BookManager the other day and clicked on the Canadian Fiction bestseller list that they compile through their dealings with book retailers across the country. I use BookManager to get a barometric reading on whether my novels are heading up or down the charts. 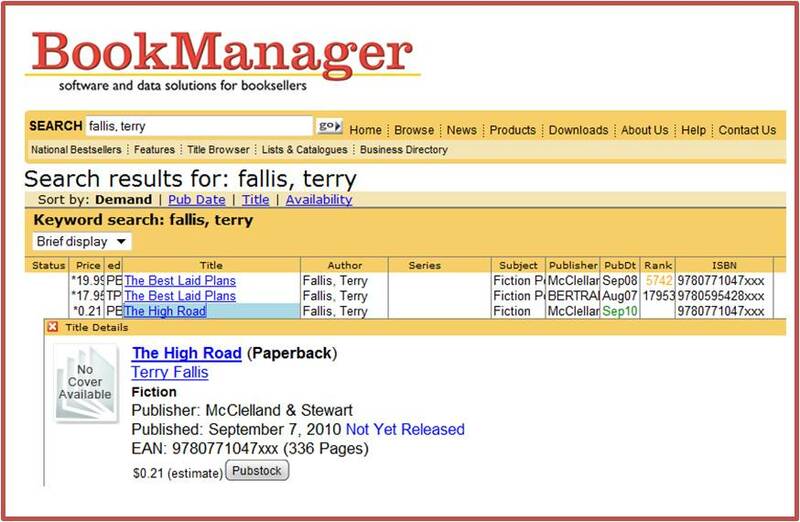 The Best Laid Plans has been number one on BookManager for quite some time now. But for the first time, down at number 14, is The High Road. It had been steadily moving up the list, dragged along by TBLP, but THR has now broken onto the list. What a thrill to see them both there. 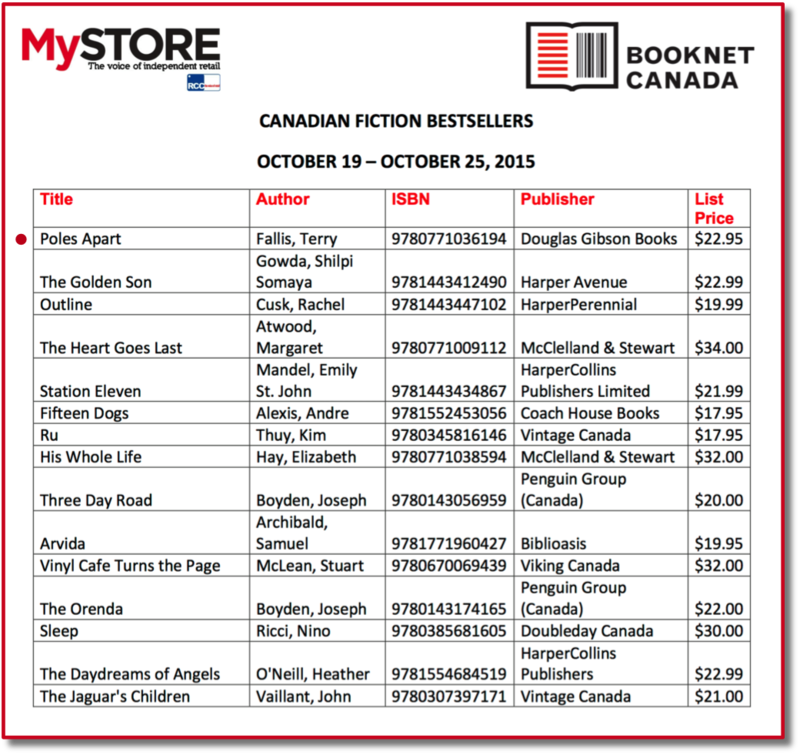 Again, thank you Canada Reads! 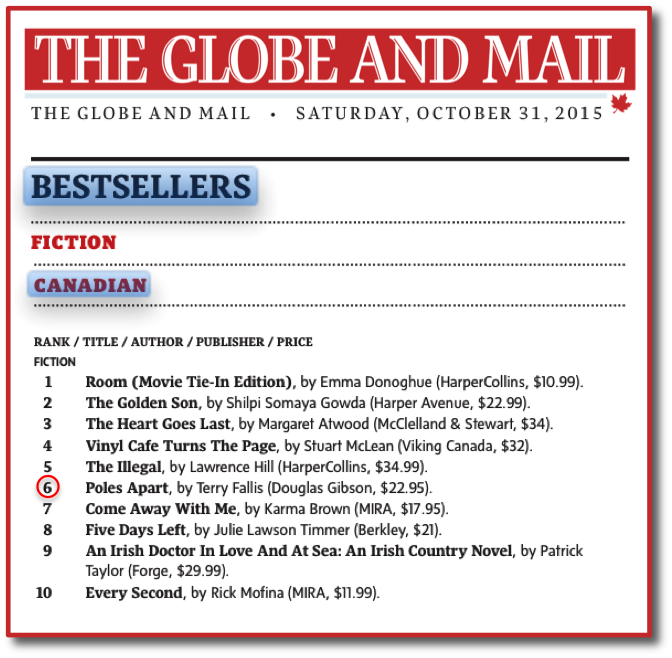 I’ve been told by a number of folks in the publishing biz that Canada Reads really does move books in this country. 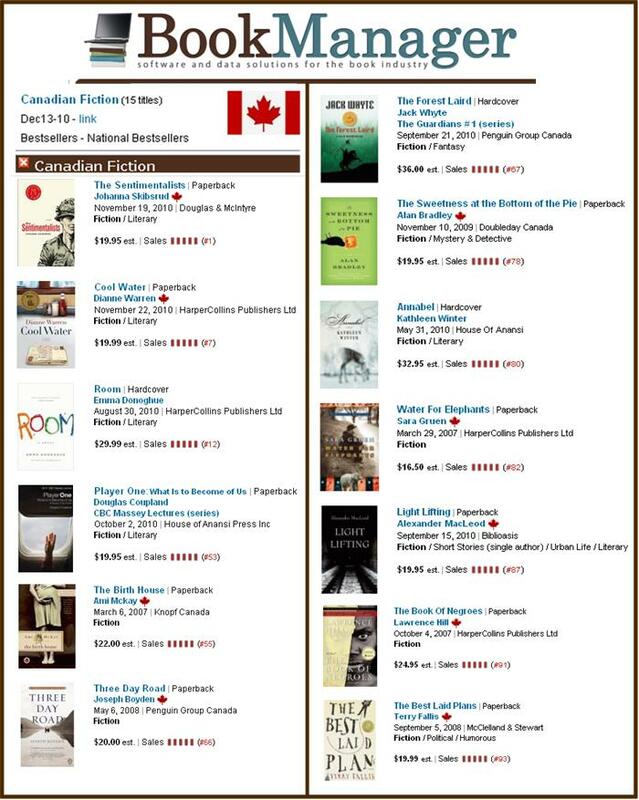 The Canada Reads books sell. Well, I certainly believe it. The impact of being a Canada Reads finalist has been swift and significant for my novel. BookManager, a supplier of software and data solutions for the publishing industry, releases a national bestsellers list weekly. The Best Laid Plans has never come close to appearing on the list, until now. 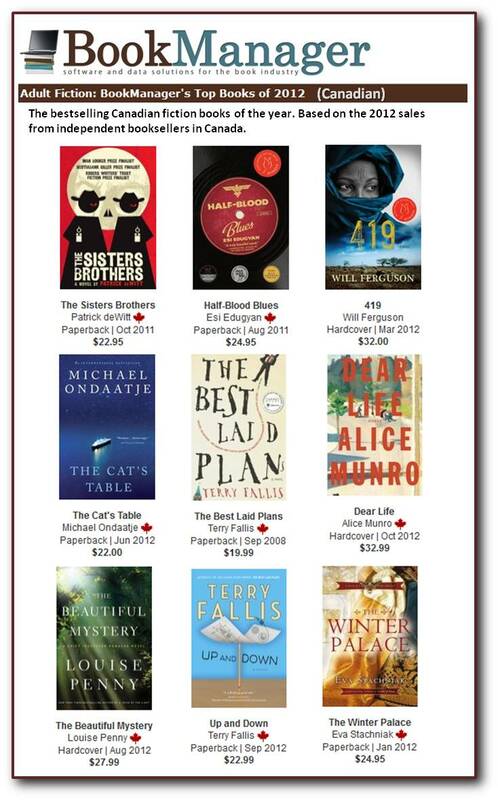 On a whim, I checked out the Canadian Fiction Bestseller list and was bowled over to see TBLP at lucky number 13. Another Canada Reads finalist, Ami McKay, is well up near the top at number five! I’m not surprised. The Birth House is a great read. When the cover design is completed and approved, it will appear as well. The High Road somehow seems more real now than it ever has.